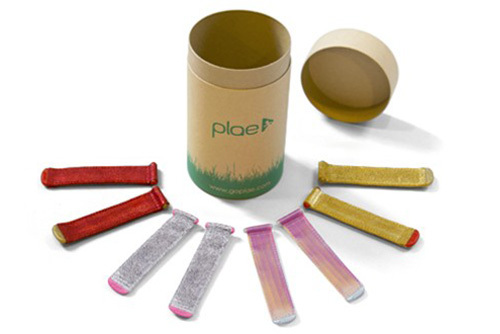 Plae shoes are a newly designed sports shoe for children that is all about engineering, comfort, and fun. Shoe designer Ryan Ringholz launched Plae after becoming a dad, and took on the mission to use the biometric science reserved for athletes to develop a children’s sports shoe. What is especially great about these shoes is that they are engineered to follow the natural contour of children’s feet, leaving the bones enough room to grow their own way. But there’s more. The shoes are washable. The insoles are made from anti-bacterial material, and can even be washed separately. All materials used are eco-friendly, some are even made from recycled PET bottles! Production takes place in a solar powered factory. The shock absorption is great and the toe guard protects shoes and feet against toe drag (I don’t know about yours, but my kids love to toe drag!). Hi Esther, do they send these to Europe? (I’m in Holland myself). If so, do you know what they charge for shipping? Hi do you know how wide they are in general? Any table with legth but also info about width? Everyday is a party! Gorgeous leather crowns from hubble + duke. La Coqueta, a new collection and a new London shop!! Louise MishaBoho chic clothing - for mama too! Amy & IvorBeautiful, handcrafted leather moccasins. Made in Britain!